As the UK Supreme Court Blog points out, our highest court of appeal has updated the “frequently asked questions” section of its website. No it cannot. 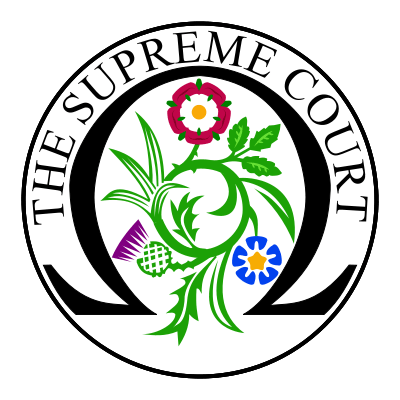 Unlike some Supreme Courts in other parts of the world, the UK Supreme Court does not have the power to ‘strike down’ legislation passed by the UK Parliament. It is not the Court’s role to formulate public policy, but to interpret law and develop it where necessary, through well-established processes and methods of reasoning. So far, so straightforward: any law student could tell you that the UK Parliament is sovereign, and this means that, unlike in the United States, no court, including the Supreme Court, can strike down legislation passed by Parliament. That being said, what exactly amounts to “interpreting” law is up for debate. The Human Rights Act empowers courts to “read” legislation in such a way as to give effect to the European Convention on Human Rights, and this can, confusingly, lead effectively to provisions being rewritten by courts (see my recent post on fathers rights in child hearings). A court can only do so, however, if its interpretation goes with the grain of the legislation. In other words, it cannot make up completely new legislation. However, the Supreme Court must give effect to directly applicable European Union law, and interpret domestic law so far as possible consistently with European Union law. It must also give effect to the rights contained in the European Convention on Human Rights. This is a confusing qualification. It is not really an answer to the original question at all, that is whether the Supreme Court can overrule the UK Parliament. The correct answer to that question is “no”. The second paragraph in fact highlights, without making the position any clearer, that odd constitutional position of the court when it is faced with European law, including the European Convention on Human Rights. One of the slightly bizarre features of our legal system is that we have a Supreme Court, populated by our most senior and respected judges, which can no more tell our Parliament what to do than it can decide the tactics for the England football team. However, by virtue of Article 46 of the European Convention on Human Rights, the government must “abide by”, that is, it must follow, final decisions of the European Court of Human Rights, a court based in Strasbourg of which hardly a lawyer in England could name a single judge. Hence the recent political clashes over the voting rights of prisoners, imposed on the UK by the European court, leading to an unsatisfactory solution which will only cause more trouble for the UK government in the near future. It appears that no politician thinks the Strasbourg decision is worth fighting for. It is bad enough when politicians and newspapers attack “unelected” UK judges, as Michael Howard has just done, as if judges had somehow hijacked the legal system and could now overrule elected politicians. The simple point is that they cannot, and the highest legal authorities are still the elected MPs (who should, as they are in the US, be referred to as “lawmakers”) who can be petitioned by disgruntled constituents in the normal way. Moreover, any power that judges have, such as the power to prevent criminals being sent back to their home countries if to do so would breach their human rights, is directly conferred by decisions of Parliament and can straightforwardly (well, fairly straightforwardly) be taken away. But it is more difficult to explain why the actions of UK judges are limited by a constitutional compromise developed over centuries, whilst European judges have been given enormous power almost via the back door. This is even more problematic given that some of the UK’s most senior judges have said that the Strasbourg court is wrong to aggrandise its own jurisdiction, and should restrain itself from imposing its will on states. If even judges criticise the court’s decisions, it is difficult to convince politicians that they should be followed. The situation becomes more bizarre still, as the UK Supreme Court (along with all other courts) need only “take into account” judgments of the Strasbourg Court. So the Supreme Court, which is subordinate to Parliament in every other way, can do what Parliament by its own choice cannot: namely, ignore decisions of the European Court of Human Rights. It would be useful to know how much it would cost to convert all of the footage automatically. It does sound like a task which could be automated, but who knows. Meanwhile, it is a great shame that the footage, which is paid for with public money, is not available to the public in any real sense. The UK Supreme Court has done much since it was set up last year to increase access to justice. Its website, and particularly the invaluable press summaries of judgments, is a supreme improvement over those of the rest of the UK legal system and its example should be followed by other courts. Its FAQ could perhaps be tweaked in order to make it clearer the for the general public. But it may be that some answers are simply too confusing to be wrestled into a FAQ, and the court can hardly be blamed for our muddled constitutional system. it is a fine point – but to suggest simply that legislation can be struck out may suggest, wrongly, that the entire piece of legislation gone. Further, both Congress and the States influence the particular cases which make it to SCOTUS. Remember, most cases are dealt with in State courts and under the particular State Constitution. Hence, Michigan’s no gay marriage as a part of its State constitution – and Iowa’s state supreme court’s decision that such a ban is contrary to fundamental freedoms contained in the federal constitution. Don’t hold your breath for the matter to be resolved by SCOTUS anytime soon. I’m unsure of the distinction you’re drawing. You imply that there’s such a thing as a law that is a) completely valid and b) unenforceable in courts. Seeing as the purpose of a law is to protect certain conduct via the justice system then the justice system ignoring that conduct must amount to an invalidation of that law (a ‘striking down’). I understand the point you are making, but SCOTUS does not have the power to “strike down” legislation. No where in the Constitution is SCOTUS given that power. SCOTUS issues rulings which make legislation enforceable in a particular way – or completely unenforceable in the courts. That make be a fine point, but hey, law’s made up of fine points. The cases in which SCOTUS finds the law incompatible with the Constitution are where the legislature attempts to legislate away natural rights as recorded in the first 10 amendments of the Constitution. As the natives get restless at home, what with Philip Hollobone’s debate on prisoners votes in Westminster Hall on 11 January 2011, and the beating of the drums by Jack Straw and David Davis and a debate to be held in the Commons sometime in February it is worth looking across the English Channel to see what is happening in Strasbourg. On the subject of Implementation of judgments of the European Court of Human Rights”. I would like to see the proposal for sanctions against the UK to be carried and one of those includes suspending the vote of the UK in the Council of Europe until such times as all convicted prisoners get the vote. Perhaps, the UK Parliament is not sovereign after all? “For us rule of law means upholding the sovereignty of the people. The sovereignty to control the government by an elected parliament and the sovereignty to replace a government”. James and ObiterJ – thank you for the very interesting comments. Perhaps a question for a future post. ObiterJ – I must urge caution – it is one thing discussing issues of high constitutional importance, it is quite another bringing up the offside rule in the current climate! Their answer to the FAQ makes it clear that the court cannot strike down an Act of Parliament. However, it can APPEAR to do so from time to time. It is this appearance which non-lawyers find difficulty with. [Trying to explain it all whilst also having to be brief is a bit like trying to explain the offside rule!]. They also do not explain why a SUPREME Court for the UK is not supreme in Scottish criminal cases. I think that they explain the devolution jurisdiction well. Adam, this is a good post, if I may offer the compliment. As someone who hasn’t always been very complimentary about the concept of the Supreme Court (though with some exceptions it has been executed well and has made some useful reforms around open justice) I would like to add more, but unfortunately time precludes. One question that has received little coverage (that I have seen anyway) is the question of the ECHR judges themselves. The embarrassing farrago that occurred over Jonathan Sumption’s non-appointment to the UKSC concerned the fact that he had not been seen to work his judicial passage, but there was no suggestion he was unqualified (being a very senior barrister) or that his appointment was in any way political. By contrast I have heard grumblings from time to time that Strasbourg judges don’t all have the requisitie judicial eminence, nor is the appointment process always satisfactory. I would be interested to know if you had any views on that. Thanks for the reply Adam – indeed, plenty of questions as to whether the European Court can maintain the trust of the states who called it into existence, and who must (theoretically!) obey it. Your characterisation of the UK as a “friendly critic” sounds about right to me – no question of pulling out of the system, but plenty of constructive criticism along the way. I just hope – as with the Supreme Court in the US – that both sides can make the relationship work! Gavin, thanks for your comment – perhaps “via the back door” is putting it a bit strongly. A bit of a tabloidism! But the reach of human rights law has expanded hugely since the drafting of the Convention, there is a slightly element of back doorism, if I can call it that. Agreed that the idea of universal justice is splendid. And European law adds a huge amount to rights protection, e.g. discrimination law. The question is whether the European Community is a strong enough federal system for individual states to trust its federal court. Taking the US example, it took decades (perhaps centuries) for individual states to trust the federal government, and many still don’t. And many Americans don’t trust the Supreme Court either on issues such as abortion. Perhaps the UK is destined to be a friendly(ish) critic of the European system, along the lines of some of the southern US states. Like you, I’m sure an automated web-streaming system would not cost too much to implement – bytes streaming through servers without too much human input would surely be cheaper and better, in terms of public access, than all the admin and hoopla surrounding high-quality TV footage. On the European Court, I’m not sure it is true to say that European judges have been given enormous power “via the back door” – the Convention was hotly discussed back in 1949 and 1950, and the powers conferred on the Court were carefully weighed at that – admittedly auspicious – moment in European history. It’s true that the true power of the Strasbourg judges took a while to manifest itself fully – there were only a handful of cases in the early years, a dim awareness among British lawyers of the procedure, and the crucial right of individual petition only came in the mid-1960s. Because these changes were incremental, there was never a great national debate or “showdown” moment of decision. But successive British governments have ultimately found a way of living with the Strasbourg Court as it has evolved, and I hope will continue to do so, despite the awkward compromises. The nationalist reflex against “foreign judges” imposing foreign values, which flares up from time to time, usually fails to make headway against the UK’s wider interest in being part of a European community of law-based states – not to mention the rather splendid ideal of universal justice which the European Court represents. A very succinct and accurate appraisal, Mr Wagner!